Hair Systems | DesignX Hair Creations, Inc. Hair Systems | DesignX Hair Creations, Inc.
Our hair systems are simply the best on the market! We only use 100% real human hair and it is always the top-tier quality of hair. There are various levels of human hair quality. While most hair loss companies utilize the medium level of quality (quite mediocre) to save on hair cost, we only use the highest top-tier level of quality. DesignX is not concerned about our cost of hair. We are only concerned about providing the best possible quality of hair and hair systems to our clients. DesignX uses the best Indian, Indian Remy, Indonesian, Chinese and European hair, all known to be superior quality. Our grey hair is also 100% human, which is rare, as most salons typically use synthetic grey hair. 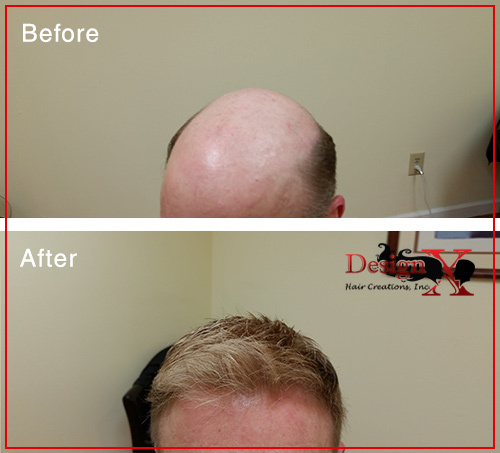 If you’re an experienced hair replacement customer, you will immediately recognize our excellent quality when feeling our hair. Come in and take advantage of a complimentary full salon service on us, no obligation whatsoever! It will give you the opportunity to experience our exceptional styling services and view our hair quality and hair systems. 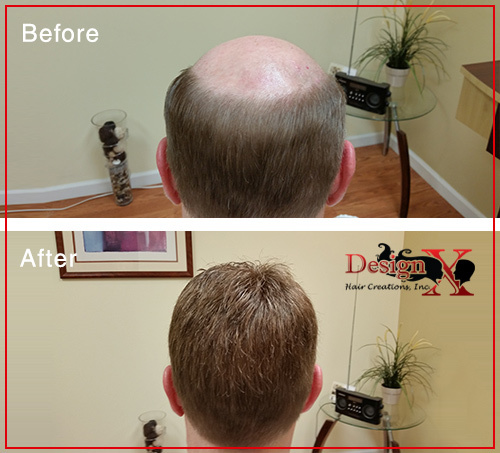 At DesignX, you have the choice of either being on a monthly program or purchasing your hair and services on an a-la-carte basis. We do not believe in contracts whatsoever, so all of our programs are on a month-to-month basis. You can upgrade, downgrade or cancel at any time without any obligation to a contract. A monthly program is a flat-rate, fixed payment per month that includes all of your units of hair, all your services and hair care products. 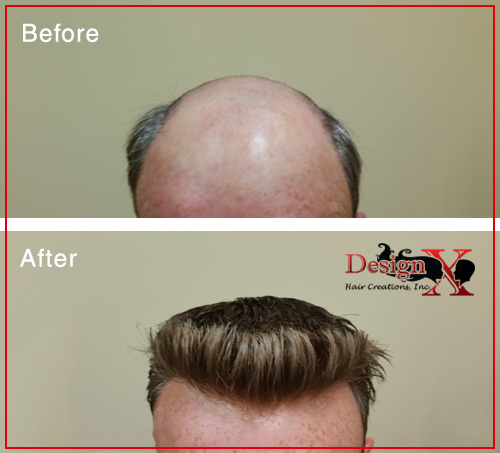 In the long run, paying a fixed monthly program is the most cost-effective and inexpensive option for hair replacement. The vast majority of our clients choose this option. Flat-rate, fixed monthly programs start as low as $129 per month for men and $159 per month for women. Call, email or submit an inquiry for exact custom pricing as many factors affect the cost. Pricing dependent on the extent of the repair. Call, email or submit an inquiry for more detail on any of the above. * A full salon service includes a complete service maintenance and re-application of your unit, a haircut, styling, scalp treatment and any additional services, as needed, such as cutting in a new unit, shampooing, blow-drying, coloring, perming, hot-curling, straightening, etc. An additional charge may apply if more than one hour is required. ** A partial salon service includes a partial hair re-application, shampooing, haircut, styling and blow-drying. Anything shy of a full re-application is considered as a partial service.